Explore more on your weekends. Looking for a healthy, active alternative for the weekend? Wellington is within arm's reach of several quality riding experiences and trails. While starting out with a 20-kilometre slog isn't always realistic for beginners, there are ways to help you travel further, in less time, and with less physical exertion. Namely: eBikes. 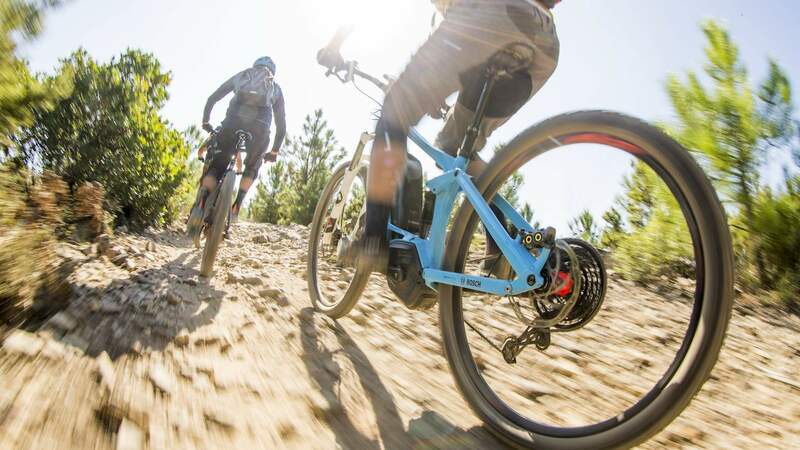 Together with Bosch eBike Systems, we've tracked down five trails outside of Wellington to try this winter that are suitable for pepped-up bikes and allow you to explore more on your weekends. This intermediate loop incorporates lots of little tracks into a pumping full-hour workout. 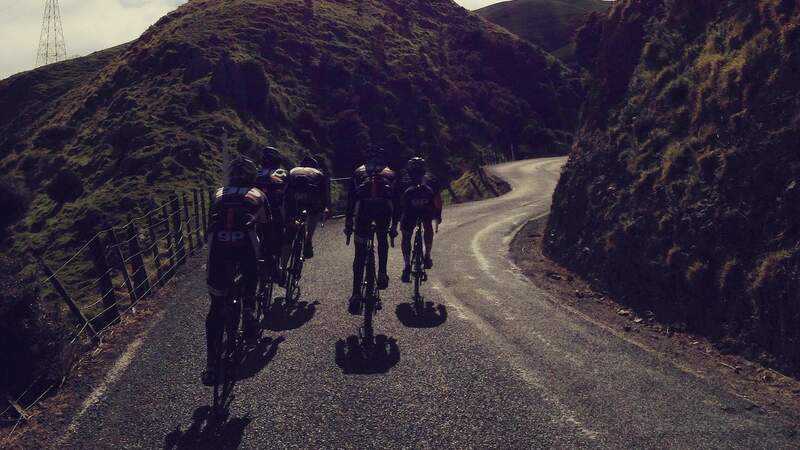 Offering the best panoramic views of Makara, this is one of the most scenic and exciting intermediate loops near the city. With a steady climb, make your way up via the Koru and Sally Alley tracks until you're halfway to the peak. From there, make your way over to Three Brothers, before descending fast on flowing tracks Smokin and Lazy Fern. But as we all know; Wellington weather isn't the easiest to navigate. Through blistering heat, pouring rain and battering winds even the most dedicated cyclist can struggle to make their way through a pleasant hour of cardio-burn. If this sounds like the perfect loop for you, the Makara Mid-Peak Loop can be accessed via the main entrance of South Karori Road. 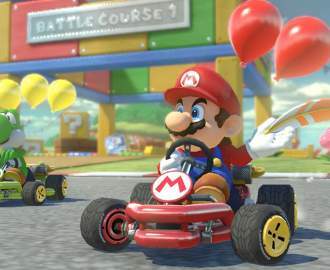 Remember, it is an intermediate track so it might not be one for the whole family. One of the Hutt Valley's newest cycling trails, Te Whiti Riser is 4.3 kilometres of wide, smooth path. 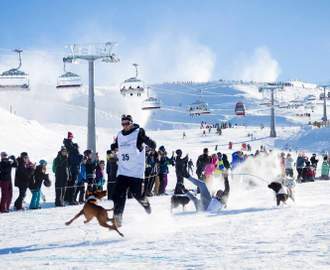 Offering a gentle gradient with very few bumps and turns, it's the perfect track for the whole family — including the dog. 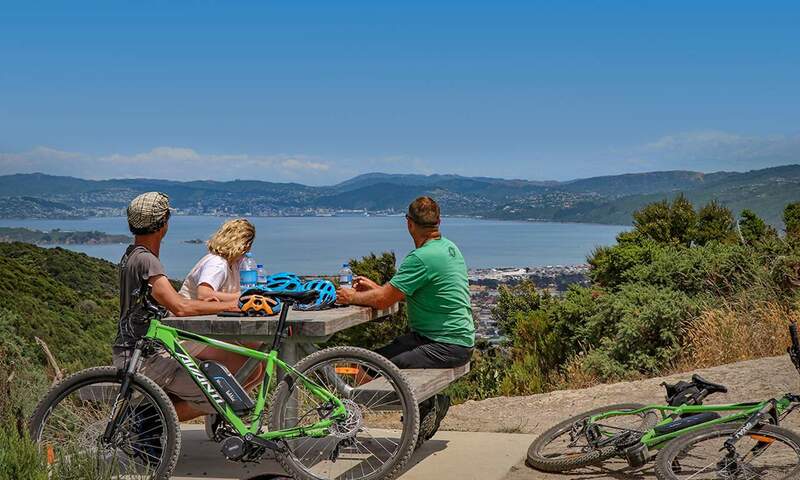 Linking Te Whiti Park with the Hayward Eastern Hills, and overlooking Wainuiomata and Lower Hutt, you're sure to be impressed by the stunning views on this ride. 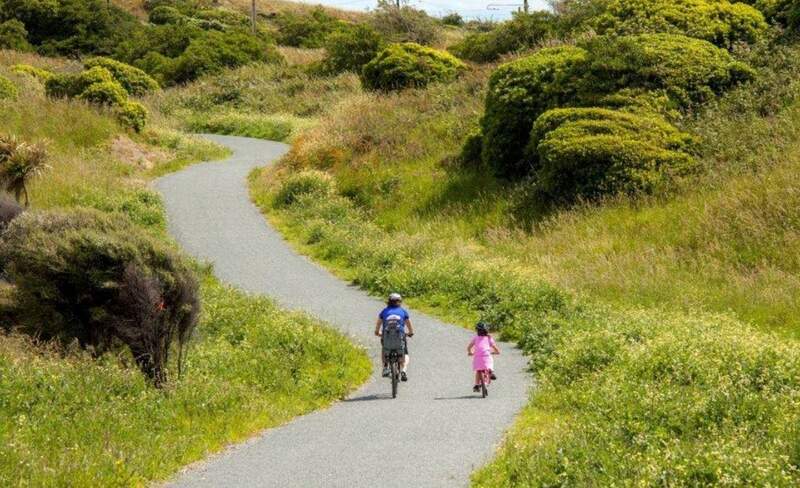 A family cycleway this may be, but this is even more an exposition of 4.3 kilometres of New Zealand's natural beauty. With some parts through dense native bush and a picnic spot (great for selfies) at the end with a sea view, this track is like none other in the Hutt Valley. It's also a dream to get to — there are regular bus services to Waiwhetu in the Hutt Valley, and Te Whiti Park has a car park. It also boasts another picnic area and public loos, so you'll be well taken care of on this ride. Blaster Mountain Biking Trail is like action-packed stunt show Nitro Circus — it's a bit dangerous, and it could get ugly if you're not careful. This ride will blow you away if you're not on form. It is one advanced course; so beginners, stay back and watch the pros for a while. Porirua's downhill doom-machine, Blaster is only a short course of 474 metres. It's a single-track, one-way, no-excuses ride. With more than a dozen sharp 180-degree turns and tables, you don't want to be hitting this track after a night out. Metlink offers easy access to Porirua from Wellington via train and bus services, but you will need to cycle to the Raiha Street entrance to Te Ara a Rangituhi. This is easily one of the most popular cycle routes in Masterton, seeing up to 700 users a day in summer — and it's not hard to see why. 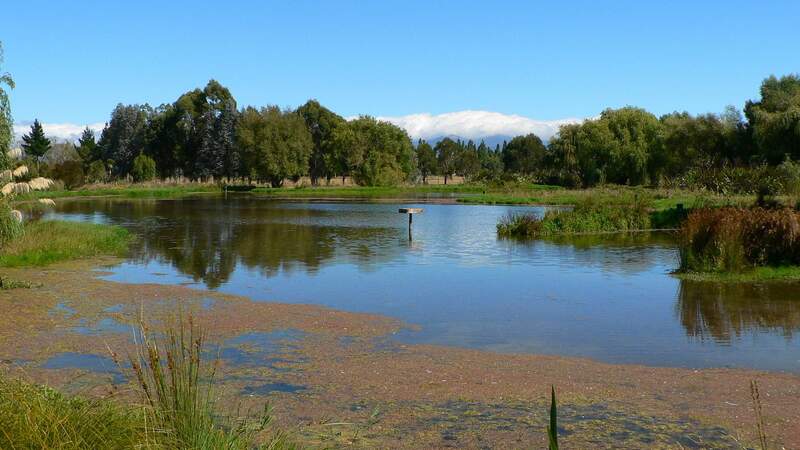 Offering cyclists and walkers a 5.6-kilometre limestone path so flat and easy it's considered wheelchair accessible, the Henley Lake and Wetlands cycle route is beautiful and allows others to see how beautiful Masterton is too. Like something out of a very clean, friendly dream, the Henley Lake and Wetlands cycle route exceeds expectations. Passing the Waipoua River, cyclists can stop for some native bird watching or watch the local waka ama or dragon boating groups on the water. An hour's loop isn't always enough cycling for some keen cardio-enthusiasts. If the 5.6-kilometre path is too short, it's easily extended by taking a longer path through lush woodland area. There's also an opportunity to continue on through to the Henley Lake Wetlands. The trail is a 15-minute cycle from the Masterton Train Station, and public transport from Wellington is frequent. If you're a bit sick of riding in the suburbs but can't afford a holiday, then this trail might be your answer. Just out of Wellington, this easy 6-kilometre trail between Queen Elizabeth Park in Paraparaumu and Tilley Road in Paekakariki offers sand, sea and just a bit of sunshine. Riding along the dunes provides perfect opportunity to stop, pull out the thermos and take a cycling snapshot or just to relax and breathe in the sea air. With breathtaking views of Kapiti Island throughout your trip, you'll feel exhilarated, calm and joyful all at once. Plus, you can even bring your pup along for the cycle — just keep him on a lead for the day. If this is the day-trip-city-escape you've been longing for, it's super easy to get here. There are regular train services to Kapiti, or you can drive and park at Queen Elizabeth Park. Looking to travel further, in less time and with less physical exertion? Learn more about Bosch eBike Systems here.